Drivers who violate safety rules injure and kill people. People who have driven for years or decades sometimes forget about the importance of safety rules while driving. Everyday we hear from social media and the news about of car crash catastrophes on American roads as a result of driver negligence. We are all trained to follow the Rules of the Road and to operate motor vehicles safely. However, when that doesn’t occur, fathers, mothers, and children are easily injured. Typically, the rule violations are excessive speed, failure to keep a careful lookout, failure to yield the right of way and violations of traffic signals (set out in MAI 17.01 et seq.). Missouri drivers must use the “highest degree of care” or what “a very careful person” would do under the same circumstances (MAI 11.01). Currently in Springfield, MO there is a billboard that proclaims”153 Missouri car crash deaths so far this year – 66% unbuckled.” In 2013, 757 people were killed in Missouri traffic accidents. Despite safety laws requiring them, only 80% of Missourians wear seatbelts. As a result, 6 out of 10 vehicle occupants killed in Missouri traffic accidents in 2013 were unbuckled. Further, despite impaired driving laws, 30% of Missouri traffic fatalities in 2013 involved a substance impaired driver. The leading cause of fatal car crashes, other than substance impairment, is speeding and improper lane usage. And – don’t drive inTEXTicated! A car driving 55 mph travels 81 feet in 1 second. In 3 seconds, such a car travels 243 feet. The Illinois Rules of the Road require that a driver “slow down when approaching and crossing an intersection, going around a curve, approaching the top of a hill or traveling on a narrow or winding roadway.” It insists that “drivers must be aware that there may always be dangers present due to pedestrians, traffic, weather, mechanical problems, or road conditions.” Drivers should “always be prepared to react to another driver.” Driving defensively — do not assume that you know what the other driver is going to do. View the Missouri and Illinois Rules of the Road for many other rules and guidelines about driving. The phenomena of road rage and aggressive driving is ridiculous. How silly is it for us to get mad that a vehicle is driving too slow, or that we have to go around a car, or that a bicycle is on the roadway and we have to spend a little energy going around them. When road rage happens, drivers act unsafe and violate the rules of the road. It adds to stress. So please remember to be safe out there and take it easy when driving. If you arrive at your destination a couple of minutes late, safe or more relaxed, it is always better than the alternative. 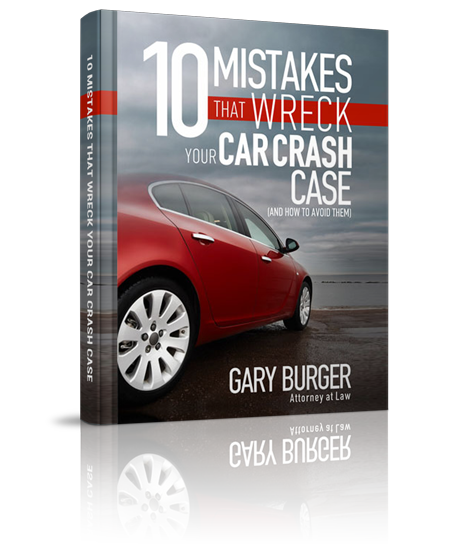 We can show you hundreds of pictures of crashed cars in our files which lead to injuries and death. Be safe out there.